The opening day of the rally. All the vehicles are lined up ready to take up service. Once the rally was officially opened, the vehicles drove up the hill at 2 minute intervals to the main loading stop. Another view of the line up taken from the embankment. 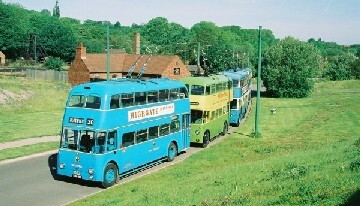 735 in the queue of vehicles waiting to take up service on the first day of the rally. This was to be the first bus I drove with passengers on Sunday the 9th. 237 about to undertake driver training after the end of service on Sunday 9th. 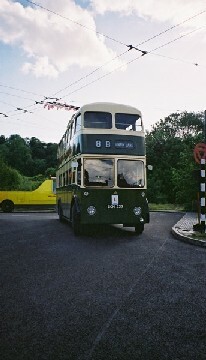 Derby trolleybuses with "L" plates, were not an uncommon sight. 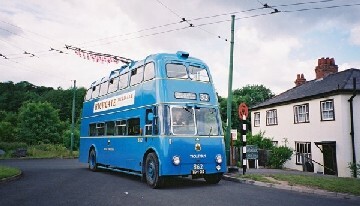 Often Derby trolleybuses would carry a crew of four, with both the conductor and driver being trained and carrying passengers as well. 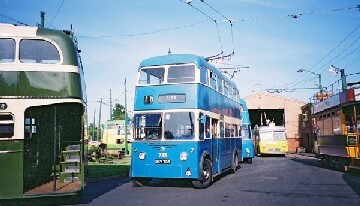 A quiet mid-week day and 862 is at the temporary loading stop ready to depart for the village. Keen eyed viewers will notice that I'm at the wheel. 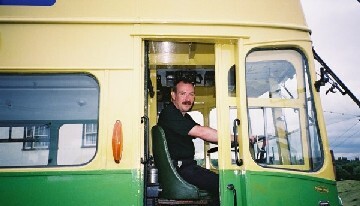 A photo of me in the cab of 433, ready to set off for the village. For this rally we all wore our new green polo shirts with the group logo and black trousers. 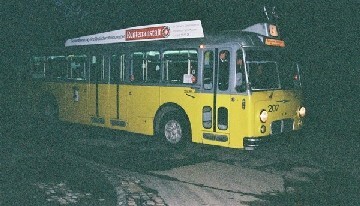 Schaffhausen 207 on a night run. 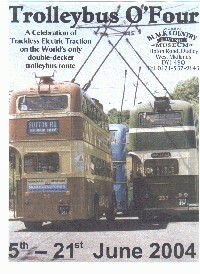 Unfortunately, it arrived as a non-runner, but was soon restored to health. 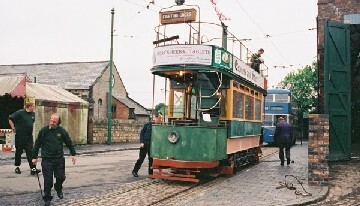 Wolverhampton tramcar 49 being moved down to the Albion depot. It was transferred for its final paint job. The whole rally was filmed, including an interview with me immediately after I'd passed my test, by DAVideo. I hadn't realised until I saw the finished video that the whole of my test had been filmed, though it has been edited. DAVideo are selling the video online, click on the photo for a link to their website. Unfortunately, the last rally was in 2008, the 2010 rally being cancelled. 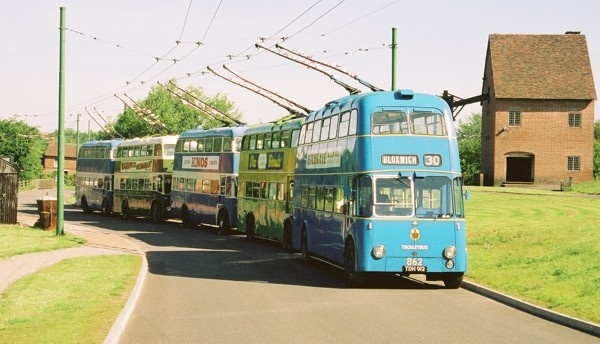 Also trolleybus operation at the museum has now ceased.